An additional privilege of the recognition of my Italian citizenship is that I now have the right to vote in Italian national elections. 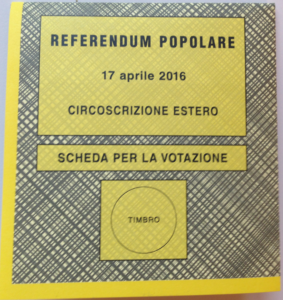 I can vote for representatives to the Italian Parliament, and I can also vote in national referenda. This is sort of like absentee voting in the U.S., but with a major twist. A U.S. citizen living out of the country can vote for federal-level officials — president, vice-president, U.S. senator, and U.S. congressperson. But that person votes in their U.S. voting district (that is, the last place the person lived in the U.S.), their votes are commingled with all the other voters of that “home” district, and the senator and congressperson are elected to represent that district. In other words, the U.S. citizen living overseas effectively votes as if he were still living in the U.S., and the representatives he elects to Congress represent the U.S. district where he used to live, not the foreign locality where he lives now. Italy, by contrast, has 18 seats in its national Parliament specifically set aside for Italians who live outside of Italy — 12 seats in the Chamber of Deputies and 6 seats in the Senate. So Italian citizens who reside permanently outside of Italy actually have their own representatives in the Italian Parliament. Rather than representing regions and constituencies in Italy, these 18 representatives represent the interests of the Italiani all’estero — Italians living abroad. So Italian citizens living in, say, the United States do not vote for a parliamentary representative from their home town in Italy. Instead, they vote for their own dedicated representatives in Parliament. Representatives who will speak up for their unique interests as expatriates. These 18 members of Parliament are allocated among four electoral regions around the world in proportion to the number of Italian citizens living in each region. The region consisting of North and Central America has two representatives in the Chamber of Deputies and one representative in the Senate. I have been doing a little research into Italian politics, because if I’m going to vote, I’d like it to be an informed vote. If I don’t know what I’m voting on, if all I’m going to do is close my eyes and pick one choice or the other, I’d rather not vote at all. I think if you’re going to vote, it’s your responsibility to be at least a little bit educated on the issues and the candidates. So I’m trying to get at least a little bit educated. What I’m finding is that Italian politics is a very fluid beast. You have a couple of major political parties — say, a left-leaning party and a right-leaning party — plus two or three lesser-but-still-important parties at various points along the political spectrum. Within each of these parties are a number of subgroups — some more extreme, some more centrist, etc. The subgroups regularly split off from the major parties, form their own minor parties, then enter into coalitions with other split-off-subgroup-minor-parties, eventually perhaps forming into a new major party or occasionally simply self-destructing. All of the parties continually change their names to reflect their evolving compositions, coalition alliances, and leadership whims. They have factions leave, join, and rise and fall in influence all the time. In other words, you basically can’t tell the players even with a scorecard most of the time. Anyway, U.S. politics aside, Italian politics is apparently not for the faint of heart. I am sort of intrigued by the Movimento Cinque Stelle — the Five Star Movement, a grass-roots, anti-establishment organization which formed several years ago based on an Italian comedian’s blog posts. The party has since evolved into a serious political juggernaut which recently captured the mayorships of both Rome and Turin, numerous other posts around the country, and a fair number of seats in the Parliament. But they are now having internal issues as well, and they have a couple of (fairly important) positions which I don’t particularly agree with. Ah, well, we shall see…. 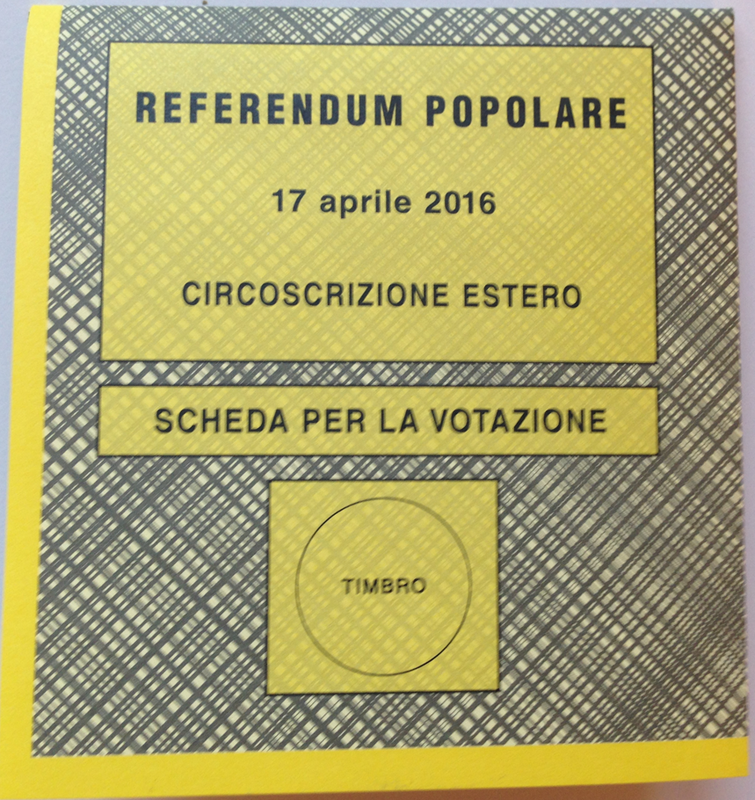 There is an important constitutional referendum coming up in just a couple of months (the exact date has not yet been set), which may be my first opportunity to cast a vote in an Italian election. The proposal completely reorganizes the electoral system in Italy. Whether I am able to vote or not depends on if my citizenship paperwork is filed in all the right places by the proper deadlines. If it is, the consulate will send me a ballot, which I will fill out and return. I am leaning “against” this particular proposal because, from what I’ve read so far, it’s basically designed to consolidate the power of the existing prime minister and his party, and to insure parliamentary majorities to parties who may only garner a plurality of votes in an election. It also removes the Senate completely from the popular vote and has senators appointed by the regional governments and the president. All of this is supposed to help the “stability” of the Italian government — but it also would provide established parties with absolute control of the legislative process, rather than forcing them to negotiate with, and enter into coalitions with, other parties in order to form a parliamentary majority to govern. I am definitely a bigger fan of negotiation and inclusiveness (yes, even if you have to compromise your principles a little bit, and, yes, even if it is more “unstable” and inefficient) than I am of ramming things through simply because you have the votes — votes which you’ve gotten because you’ve designed the system to give them to you when you haven’t actually earned them. This latter method is how we do it in the U.S., and look where that has gotten us…. So unless I learn something new in the meantime, if they send me a ballot, I’ll probably be voting “no” on this particular proposal. Next Article Double-neck Guitar Project, Part 1 – Will It Work?